Have you already considered booking a private pool villa instead of a hotel room for your next holiday to Bali? 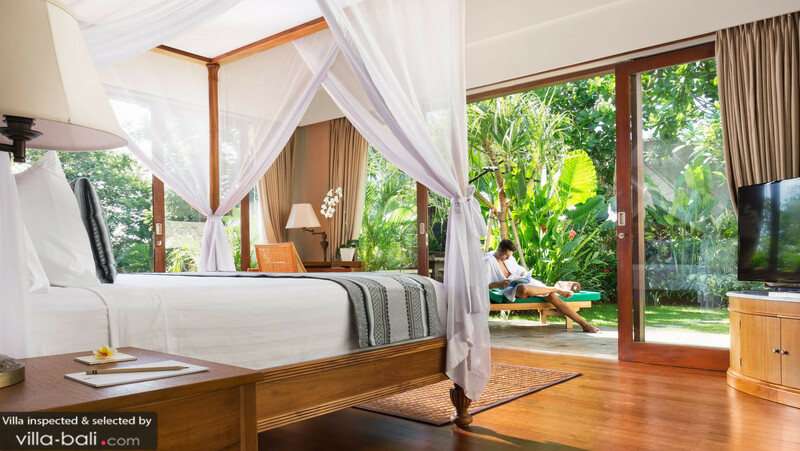 Staying in a villa gives you a ‘home’ – a private home away from home on Bali Island instead of a room in a hotel – and that just makes all the difference! 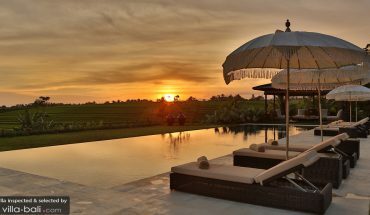 If it’s your first stay in a Bali villa and you don’t know what to expect, this article is for you. 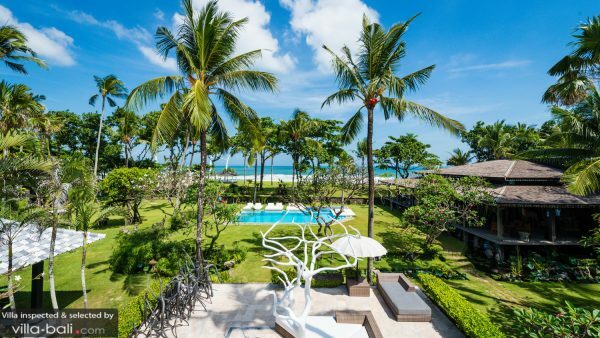 Why choose a Bali villa over a hotel? We go to tropical islands to relax, enjoy the beach, surround yourself in nature and soak up the exotic environment. Having a private island home, tucked away in a secluded lane, away from crowds and noises, is just wonderful! You don’t have to worry about sharing the pool with someone else or waking up in time for breakfast. Even if you want to walk around in your pyjamas, that’s totally fine. After a full day spent outdoors, you will come home to a living room instead of a hotel room. Furthermore, the services at a villa are very different from those in a hotel. Everything gets more personalized, without being intrusive of your privacy, that is! 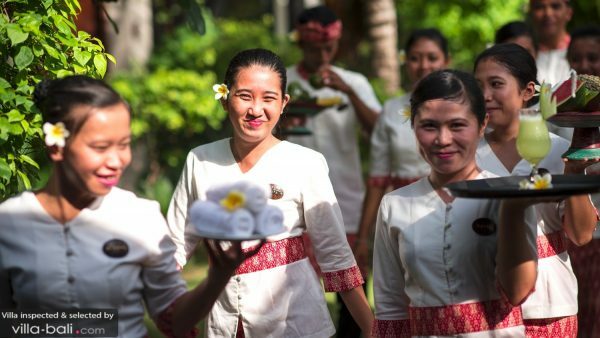 Every villa comes with a dedicated team of staff to look after the villa and its guests and usually, the villa manager is stand-by 24/7. Villa Finder Tip for your first stay: The staff at the villas are very friendly and accommodative. Leaving some tips for them, while not compulsory, is very much appreciated. 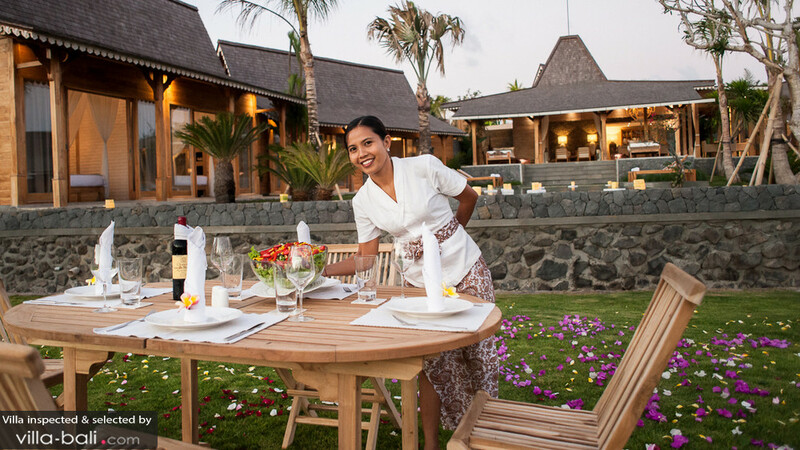 When staying in a villa, you can also opt to get a personal chef to come over to the villa and cook up a delicious meal. You get to enjoy spa treatments in the comfort of your own holiday home. 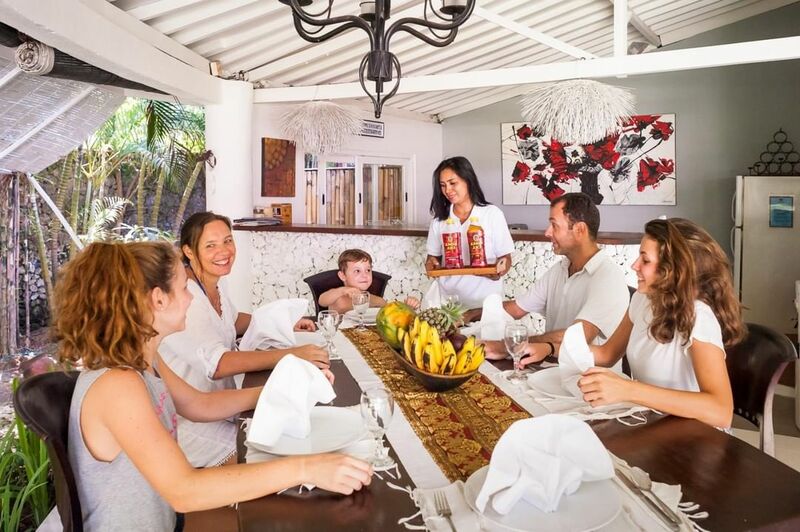 Families with kids can make use of professional nanny services without kids having to leave the compound of the villa. Perfectly safe! Villa Finder Tip for your first stay: Think of anything you may need: massage, BBQ dinner, private chauffeur, etc. You can even have the fridge stocked up before you arrive at the villa. Most villas are hidden away in small gangs and secluded lanes, unlike hotels which are usually found along busy roads. Each villa reflects its owner’s personal style, too. Hence, every stay is a unique experience. 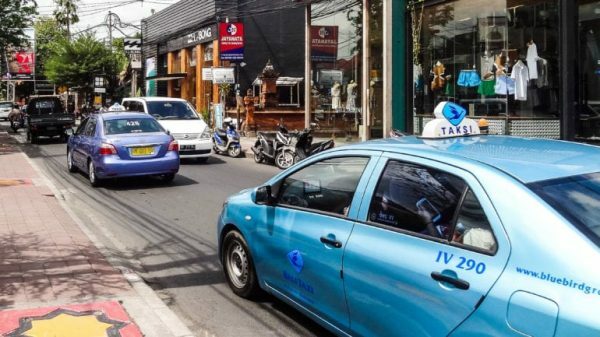 Villa Finder Tip for your first stay: Arrange airport pickup to make sure you reach the villa as not all taxi drivers know where the villa is. How about the price tag? This might come as a surprise, but staying in a villa may even be cheaper than staying in a hotel. 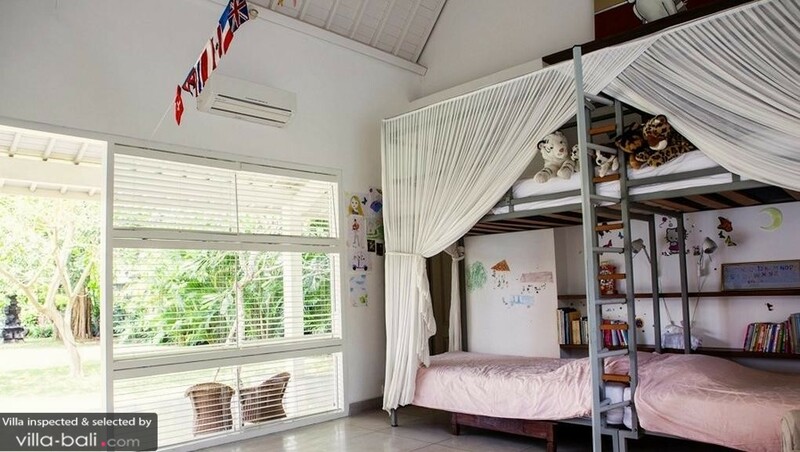 Especially when travelling with the family or together with your best friends, the price of a 4 or 5 bedroom villa is, in fact, a whole lot cheaper than renting 5 separate hotel rooms. You’ll be having your own little party in your private pool villa! Then, think about all the money you’d be spending on hotel food. Much more cost-effective to stock up that fridge with loads of snacks and cold drinks to last for the entire day. 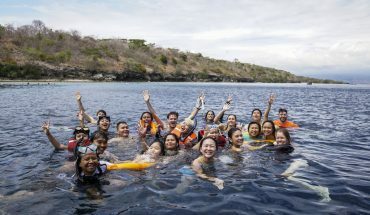 Villa Finder Tip for your first stay: The bigger the group, the more value-for-money the villa is. 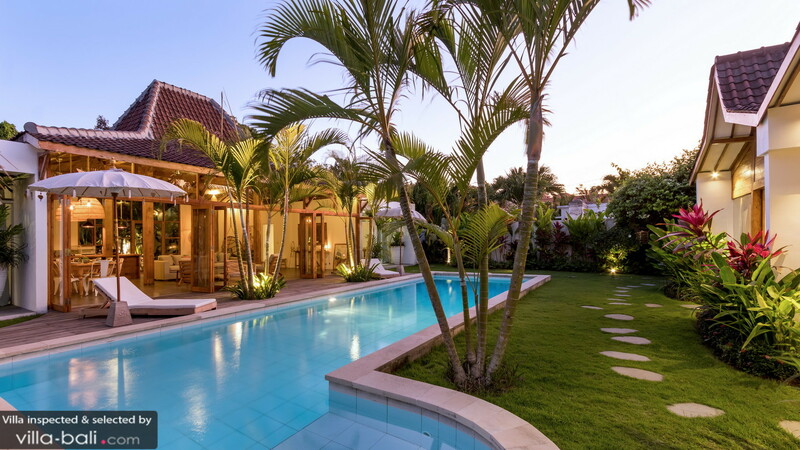 When booking your villa on Villa-Bali.com, you can be sure the villa is as gorgeous as on the photos, perfectly well-maintained, and you can be sure of outstanding services by a loving team of staff. We work closely together with the villa owners and therefore we can make sure you are getting the best price for the villa. It is not you paying for our services but the villa owners. 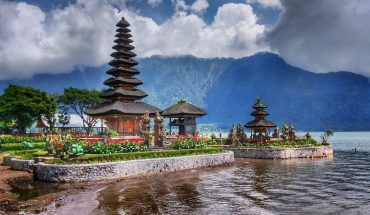 All of our villas are inspected by us personally and regularly and we have an office in Bali so we can provide you with the best assistance throughout your stay. So, how does it work? How to track down that perfect villa that matches all of your personal wishes? The enormous amount of options can be overwhelming but that’s where we come in. 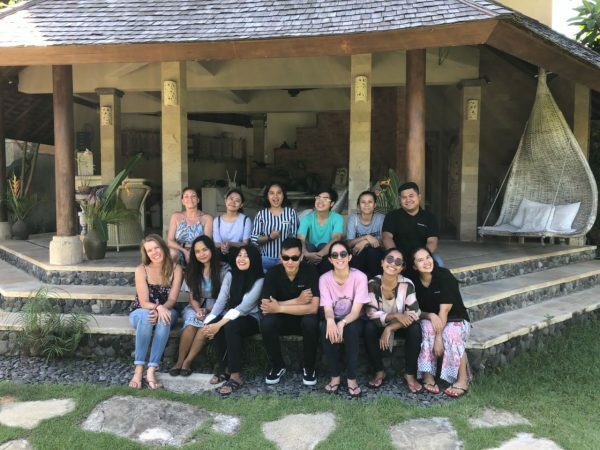 We’ve got a team of experts in our Bali Office, ready to get down to work, help you with your search and arrange everything from A to Z. How big is your travelling group? Are you travelling with kids? How old? Where on the island do you want to stay? What style is most appealing to you? We invite you to come and experience a villa stay in Bali. We are sure you are going to love it! Feel free to share your experiences with us, we would love to hear all about it!